Video marketing has become very popular in recent years for several reasons: more and more people have access to high-speed internet and thus video streaming, YouTube, Vimeo, and other platforms are maturing, and especially the fact that video offer flexibilities not offered by textual and audio content. No wonder, a lot of people and businesses are now jumping the video marketing bandwagon.Meaning, there is a tremendous increase in competition. So, in the saturated market where a lot of videos are being published every day, video SEO is now necessary. In this guide, we will discuss the key principles of video SEO and especially YouTube SEO, as well as the key tactics you can apply to have a more successful video marketing campaign. Let us begin by discussing the concept of video SEO. If you are already familiar with the concept of SEO, this will be fairly straightforward. 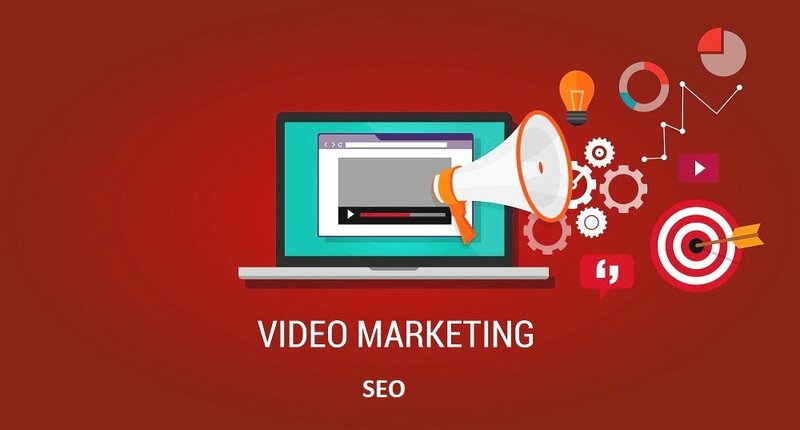 Video SEO is optimizing your video content to be indexed by the search engines (mainly Google), with the goal to rank higher on the SERP (Search Engine Result Page) for the target keyword. The thing is, the core concept of SEO in textual contents is to include the target keyword(s) within the body of the content. While YouTube can recognize the words we mentioned on a video, it is not totally perfect. So, we will need to have a different approach for video SEO, which we will discuss in the rest of this guide. A proper keyword research is the basis of any SEO activities. So, it is good to first have the correct mindset about keyword research for video SEO: it is totally different compared to textual content. • First, a significant number of video traffic usually originated from the suggestions offered by YouTube, not from search engines. Only less than 25% of video traffic usually came from organic search. Does this mean SEO for organic search is unnecessary? Not at all, but we should also need to optimize for “suggested videos”, “browse”, and other features when considering video SEO. • Second, the audience uses YouTube and other video streaming platforms differently compared to Google search. We have different expectations for video, textual, and audio contents. A keyword like “best NBA highlights” obviously has more searches in YouTube, but will generally get far less exposure on Google searches. On the other hand, keywords where we expect textual contents such as “digital marketing tactics guide” will get more searches on Google. With these two points being said, we should use different keyword analysis tools compared to textual contents. 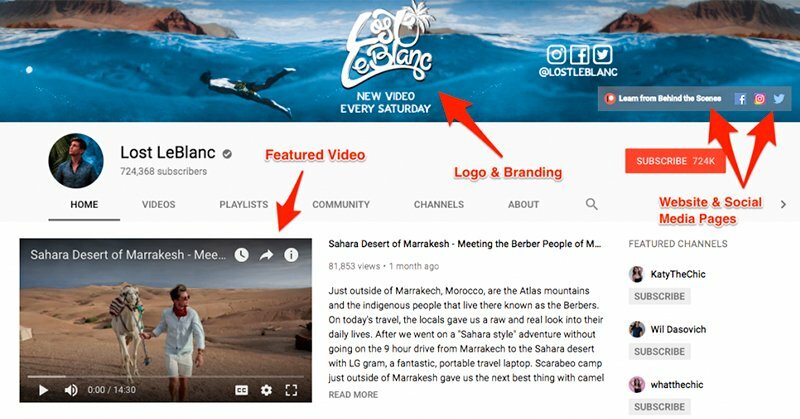 As with Google Analytics and Keyword Planner for text-based content, YouTube Analytics can be very powerful especially if you already have some traction on your YouTube channel. You can use the “YouTube Search” feature on “Traffic Sources” that will show all the keywords your content currently rank for. There are two main approaches you can do with this data: optimizing existing videos around that target keyword, or developing a new video altogether to target this keyword. Here, you can simply type a query into the search field, and YouTube will suggest the keywords people are searching for that is related to your query. You can also use an underscore “_” to show you suggestions that appear before your query. A dedicated keyword research tool designed for YouTube, which is still quite rare. If you are familiar with SEMRush, Ahrefs, or Google Keyword Planner for textual content, YT Cockpit is quite similar in practice. Input a “seed” keyword into the tool, and YT Cockpit will show you a suggestion of keywords, along with important metrics like monthly search volume, impressions per week, and CPC. It is fairly important to note that the “monthly searches” metric in YT Cockpit represents organic Google search and not YouTube search, while “Impressions Per Week” do include YouTube as part of Google’s Ad Network. For YouTube SERP, there is a dedicated tab showing various important details to estimate your competition from average views, likes, duration, and so on. If you are serious about YouTube SEO, YT Cockpit is worth investing. There are certainly other tools that can help you in this process. Tubular Labs, for example, is a powerful freemium tool to analyze how your competitors are approaching their keywords. As with regular SEO for textual content, the content development process is an integral aspect to focus on if you want to rank well. The more time people spend watching your video (and so the more time they spend on the site), the higher your rank will be. While this is closely tied to the audience retention above, the thing is, longer video rank better. Obviously, however, maintaining retention will be even harder with longer videos. So, you will need to find the delicate balance. Generally, don’t focus too much with length, focus in developing an engaging and interesting video. Click-Through-Rate (CTR) here represents the percentage of people who clicked your video after searching for a specific keyword. Even when you are not currently the top ranked video, if more people are clicking your content instead of the competitor’s, you’ll move up steadily. 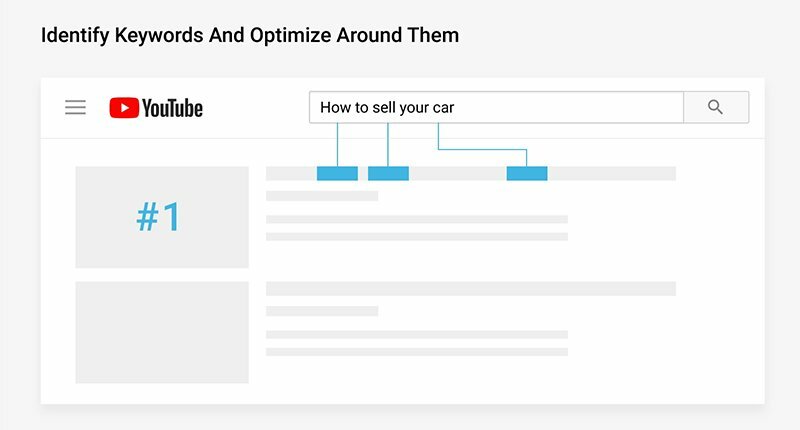 Here, there are three things you can optimize: your title, your thumbnail, and your description. Now you know why a lot of people are using clickbait thumbnails and titles. While using clickbaits is certainly a valid tactic, remember that the audience retention will matter more in the end. So, even when you are using clickbait titles and thumbnails, make sure your content is still engaging, and most importantly, relevant with the thumbnail and title. If someone subscribes right after they are watching a video, it’s a strong signal that your video is high-quality. The same thing can be said when people are liking your video and/or leaving a comment. While the only way to optimize these aspects is to develop a truly amazing video, it won’t hurt to ask and remind your audience to do these while watching the video. Ask your audience to subscribe, like, and leave a comment without being forcing and annoying. Pretty self-explanatory, the more people share your video, the better the perceived quality will be. Again, there’s no shortcut around this besides developing a compelling video worth sharing. Above, we have mentioned how the most important optimization of your video is the quality, and there’s no shortcut around it. So, first we will need to have the right mindset: no matter the amount of optimizations you’ll do, it won’t matter if your video is not engaging enough. On the other hand, optimization here is how we can increase the chance of our already high-quality video to rank better. Optimizing your title is really important in improving your CTR. Having a great title would also help in situations where your video is not yet ranked (which is often). Make sure to include your full target keyword within the title naturally. This is where having a relatively long title of 5 words and above can help. If possible, use the target keyword at the front of the title. So, for example, if you are trying to rank for the keyword “world cup 2018”, you can use a title like “World Cup 2018: The Full Review”. As with “normal” SEO, focus on making an engaging title for human readers (viewers) first before optimizing for keywords. Your description should include the target keyword within the first 20-25 words where your total words should be at least 200 words. Make sure to include your keywords at least 2 to 4 times. Similar to your title, remember that there are two main purposes of a good video description: attracting your human viewers and making sure YouTube and Google understood the content of the video. If you are familiar with writing META description for textual content, this process should be mostly similar. Again, focus on your human readers first before the search engine. Google’s and YouTube’s voice recognition is more than decent nowadays, and YouTube can understand what you say in your video. Although this is not yet perfect, you can always upload a transcript (and even captions for different languages) when necessary. So, say your target keywords within the video, just like how you mention target keywords in a textual content. Aim to mention your target keywords once or twice, and as always, make sure it’s natural. Tags used to be the main way to optimize a YouTube video, but that is no longer the case nowadays. So, although you wouldn’t necessarily need to put too much focus on using the proper tags, include 5 or so tags that are relevant with your video. As with textual content SEO, optimizing your content pieces won’t be enough when your site or landing page is not optimized. The authority and credibility of your channel plays an important role if you are aiming to get ranked on YouTube. Generally, videos published on a high-authority channel will rank above the same video published on a new or low-authority channel. With so many YouTube channels out there, you will need to present unique differentiation and values compared to all the other channels. Stick with a niche, and consistently publish your brand message to communicate these unique values. For example, if you are a SaaS company where your YouTube channel is covering tutorials about digital marketing, you might want to go with a slogan like “effective tactics to achieve growth quickly” or similar ones, and stick with it. You will need an interesting header design, and make sure your channel’s catchphrase or slogan is included here. Your animated logo (or sometimes called “bumper”) is also very important for branding purposes. You might also want to include your catchphrase here, and if you can, have a catchy music to accompany it. Include your target keywords in your channel’s about description. As usual, make sure to do this naturally and focus on human readers. If you already produced quite a lot of videos, make sure to take advantage of the playlist feature. You can target long-tail keywords in playlist names. Although most people visited your channel from a video, optimizing your trailer is still important for those that visited your channel directly. Make sure to communicate the core messages of your channel here, and keep it short and fun. You can mention your target keyword(s) during the trailer video. When doing a Google search for certain queries, you might have stumbled upon results featuring video contents on the first page. Indeed, Google do his for certain keywords, commonly how-to questions, sports highlights, tutorials, and other queries that are “video-friendly”. Of course, there’s also the “video” tab on the search results for any keywords, but the traffic from here is generally low. In general, if you optimize your video for a target keyword without video results on the first page, it’s going to be very hard, if not impossible to rank. So, the first step here is to find these “video-friendly” keywords. Do a Google search for all your potential target keywords, and take notes on those with video results on the top 3 spots. Now that you’ve found these keywords, you can aim to rank by optimizing your videos using what we’ve discussed on the previous steps. Not everyone is using YouTube to host their videos, as we can use various services to self-host the video on our site. Now, can we optimize these videos to rank? While it’s possible, keep in mind that it is a lot harder to optimize these self-hosted videos for Google SERP compared to YouTube videos. YouTube is, after all, owned by Google, so it makes sense that they will prioritize YouTube contents. Schema.org is a markup language supported by Google, Bing, and other major search engines to properly attribute various items on your site for easier indexing. Sounds confusing? Well, you might want to check out our previous guide for structured data SEO here to get started (link). Use keyword-focused title. We often use the default filename of the video when uploading to our site, which will make it difficult for indexing purposes. 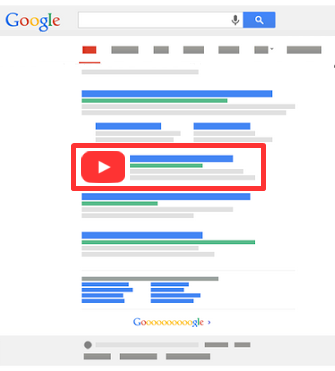 By putting your video at the top of the page, you are showing Google that your video is the main focus of that page. Place your video at the very top just after the tile, or at least after a brief text opener. Placing a full transcript just below the video will help the search engine for indexing purposes. Don’t forget to format your transcript for human readability: make sure it’s easy to read by human readers to avoid a high bounce-rate and improve overall dwell-time. Video SEO is no longer a luxury, but a necessity with hundreds of videos being published every single day. Generally, however, the key principle remains the same that the quality of your video and the professionality of your channel are the most important aspects to focus on. By optimizing the key areas we have discussed above, you can have a more successful video marketing results by getting ahead of your competition.